As we were working on the Shop Around Quilt for the 2018 Houston Quilt Festival, many people saw our version here at our shop. And they said: “How about that as our next Block of the Month? 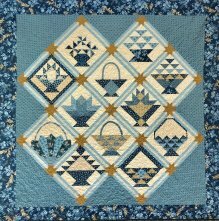 This year’s quilt is made up of 12 Basket blocks, set on point and then a Finishing kit at the end. 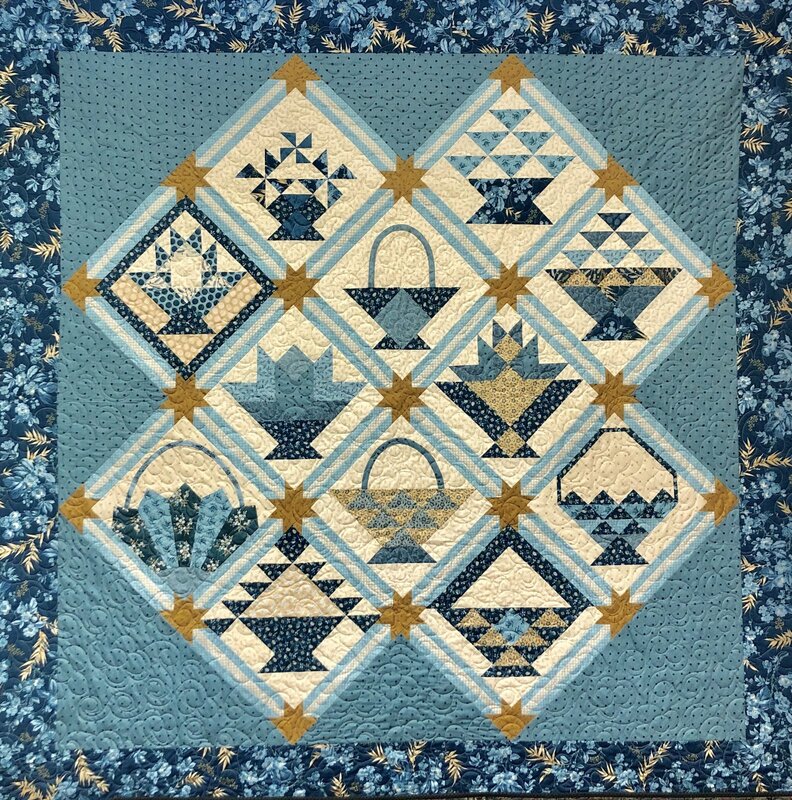 Each block was designed by different Quilt Shops around the United States. All are pieced, with some quick and easy hand/machine applique on 2 or 3. Each block is 12 1/2” x 12 1/2” and finishes to a 12” x 12” Block. The finished quilt is 75” x 75”. Most fabrics are from the "Something Blue" line by Edyta Sitar for Andover Fabrics. We are happy to ship our BOM kits to you each month. If you would like to do this, please add $48.00 for shipping ($4/month). When shipping, the amount must be prepaid. If you have any questions, please call us at Block Party Studios, 1-800-419-2812. Program will begin mid January with registrations due by January 12th, 2019. Stop in at 1503 West K Ave to register in person or e-mail patti@blockpartystudios.com to register by e-mail.